We’ve all heard by now how much of a wonder supplement CBD is. The stigma of marijuana is slowly but surely fading, and people are understanding the overwhelming health benefits that cannabis brings. CBD is breaking down these barriers because it doesn’t get you high, but it gives you all the health benefits you are looking for. But if you are a new patient, you might be hesitant about which type of CBD to purchase. Two of the main types of products people buy are CBD oil and CBD cream. Below we’ll help you figure out which is right for you. What Kind of Ailment Do You Have? There are so many different things that CBD can cure or heal. Your first step needs to be determining what use you have for it. For example, many people turn to CBD in order to help them get past the pain. If you have pain in your joints, muscle pain, arthritis and other types of issues, perhaps a CBD cream is the best way to go about it. You can apply the cream directly to the area of discomfort and get relief very quickly. When you smoke CBD or take a toke of CBD oil, it will take a little bit longer to pass through your bloodstream, and may not have as direct an effect as you are looking for. You can also use CBD cream for some illnesses. For example, if you have a cough or congestion, rubbing some cream on your chest and throat can feel miraculous. People use CBD for so many other reasons, such as anxiety, depression, and trouble sleeping, so use your discretion when you are trying to figure out which way you would like to administer it. How Do You Prefer Taking a Dose? This also comes down to your preference. If you don’t like smoking or inhaling a vape, it can be difficult to do, even if you are looking for health benefits. However, pretty much anyone can get by with rubbing a CBD cream on their body, as it doesn’t provide any sort of physical discomfort. Make sure that you follow the instructions and doctor’s orders to be sure you’re taking your dose properly. What is the Availability Where You Live? Decide on the type of CBD you want to take also comes down to your location. If you live somewhere with stricter cannabis laws, it can be hard to come by in any form, let alone a cream. Likewise, CBD might be legal where you live, but you may not have as much accessibility to products like you would if you were living in California or Colorado. 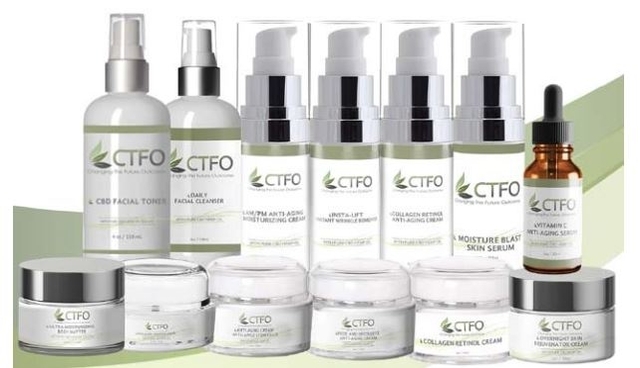 However, there are plenty of companies now that are selling CBD products and other natural products online, so you can have them delivered to your doorstep without a problem. Now that you know the differences between CBD cream and CBD oil, figure out which you prefer. There are lots of sites that you can choose between to get the help that you need. For more about CBD, household products and more, get in touch with us. Previous Post:CBD Oil for Pets: Is it Safe and Effective?